A massive broke out Monday at the historic Notre Dame Cathedral in Paris. French officials have cleared the area as 400 firefighters continue to battle the blaze. 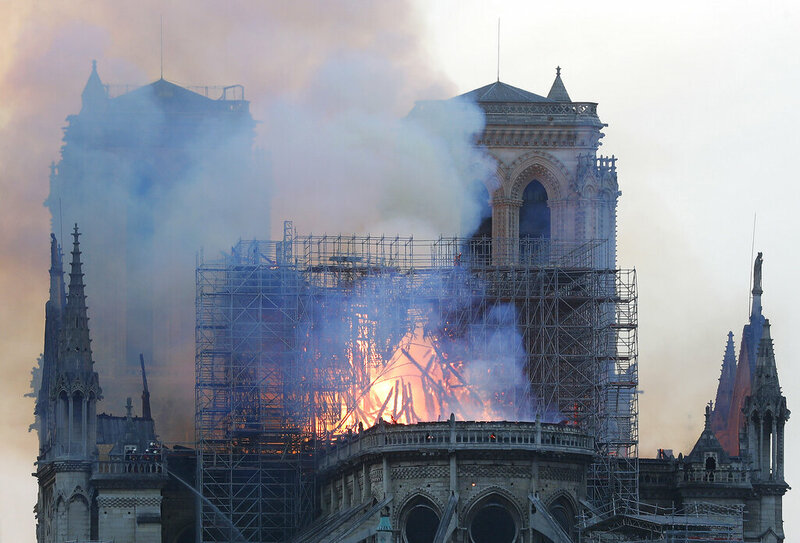 The spire and roof of the cathedral have both collapsed, and one of the two towers is also on fire. There is no word on what started the fire, but restoration of the spire was underway. Some parts of the medieval building were under scaffolding when it sparked.